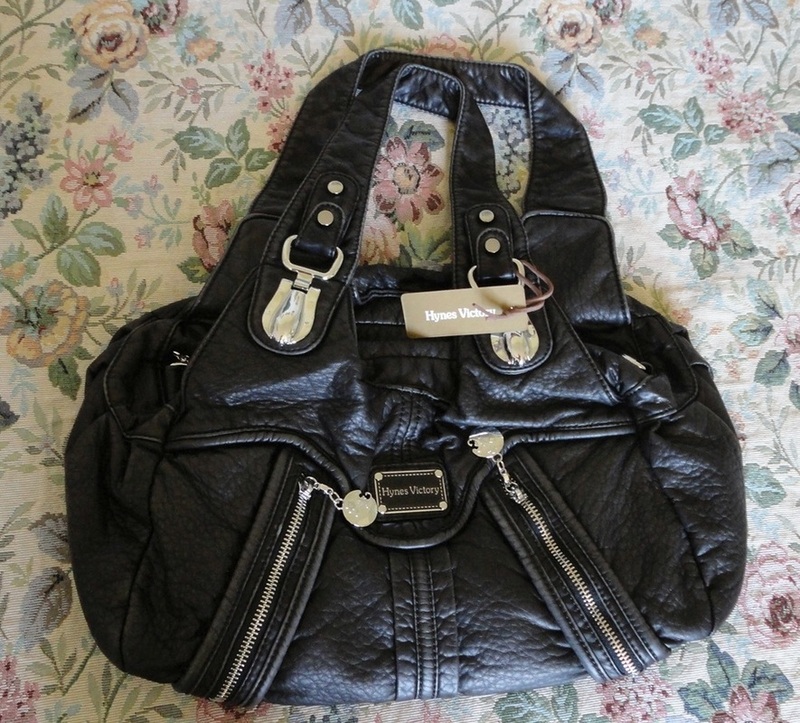 This is absolutely my kind of bag, spacious but not clunky and I love the soft feel of the slouchy synthetic leather and the shiny metal accents. It holds everything I like to carry with me with room to spare; the only thing that stops me filling it up is the potential weight! I have the Black one and it's actually a very dark charcoal. 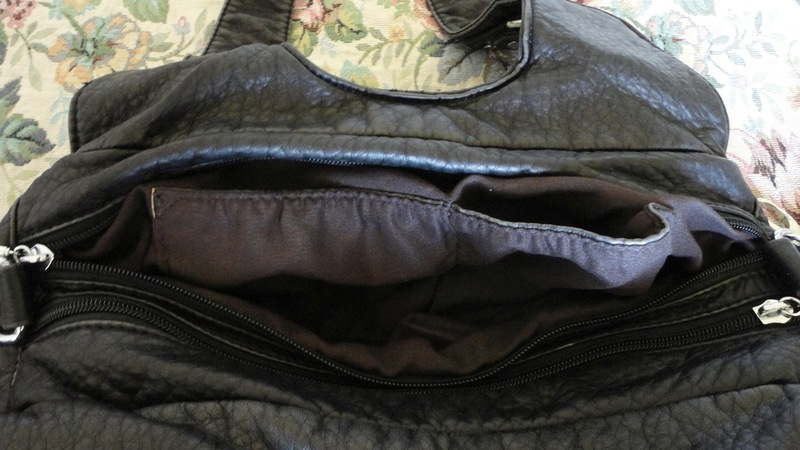 It has a distressed, weather-beaten look that begs to be used everyday and, since it goes with most clothes, it's an easy choice to have as your regular carry-all. 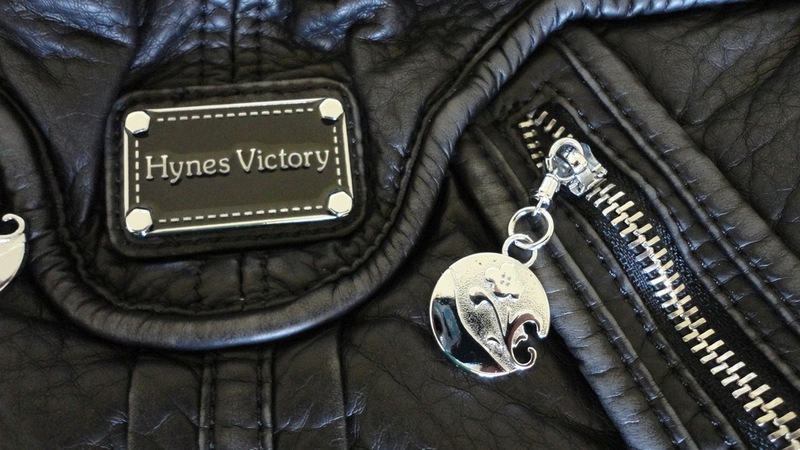 It has a lot of pockets of all sizes, three outer ones secured by chunky, shiny metal zippers, with engraved round pulls for function and decoration. 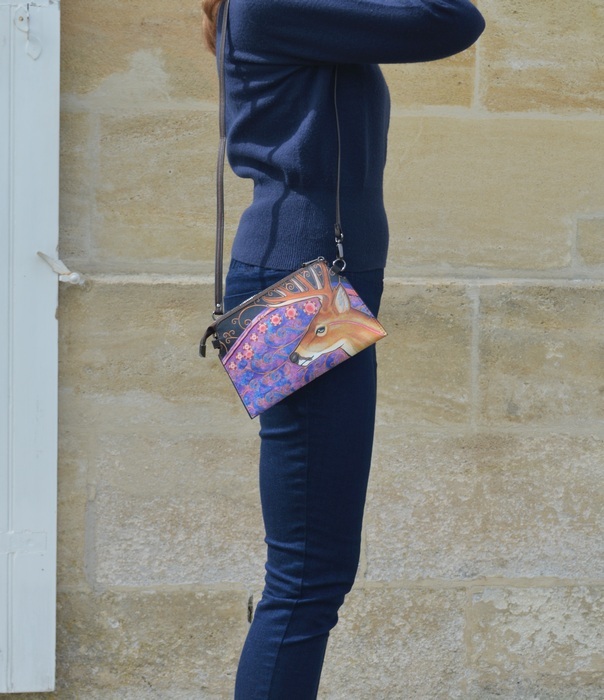 The main bag is divided in two large compartments, each with its own opening with more pockets and zippered compartments built into the fabric lining. Manufacture is good and it has held up to daily use for a couple of weeks with no issues so far. The handles are large enough that you can sling them over your shoulder. In fact, they are ideal for slipping over your arm as you unzip the top and fish into its deeper depths. 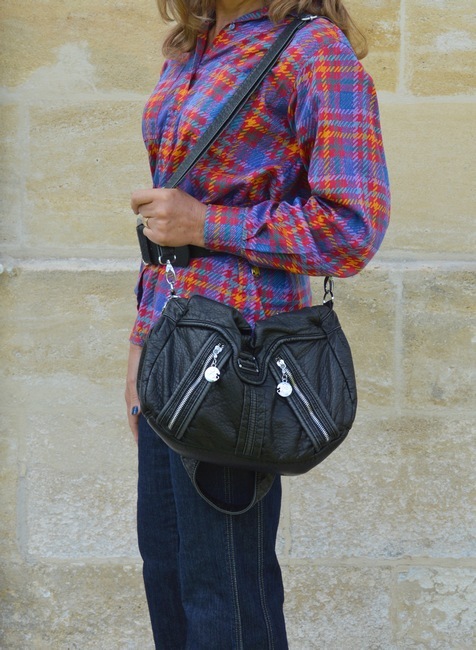 A detachable shoulder strap is also included to slip the bag over a shoulder or across the body. If you are always struggling to find room for all the “essentials”, this bag might just be the thing. Absolutely adorable! If I were a teenager, I would want several of these. 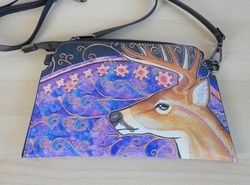 There are so many pretty styles it was difficult to choose, but I finally asked for the Elk clutch. In person it is stunning, the colours are so vivid and the printed drawing (identical on both sides) is just beautiful. 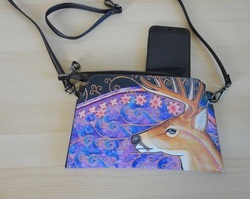 It comes complete with a short round-the-wrist type strap and a much longer one for over the shoulder or across the body. They are both removable, leaving a simple clutch to pop inside a bigger bag, if you so wish. I love how it protects my phone, while making it easy to find. It's marginally too small for my Kindle Fire but fine for sunglasses and a small card holder or wallet. 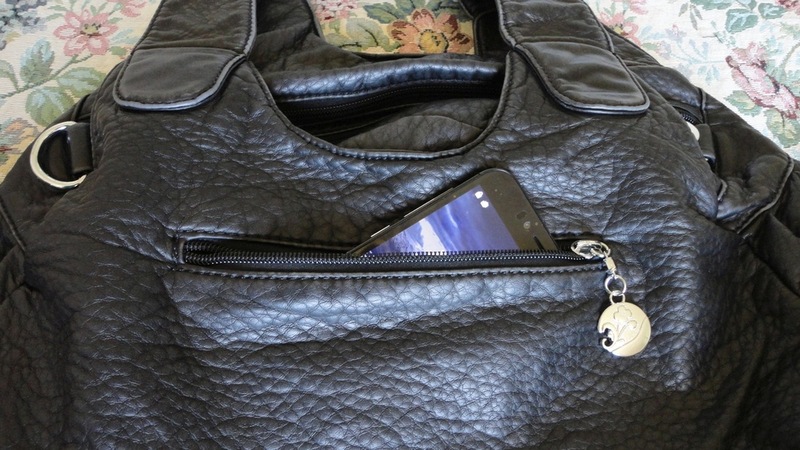 Normally I use a large hold-all type of bag, but there are times when all I want with me is my phone, keys, compact and a lip gloss. 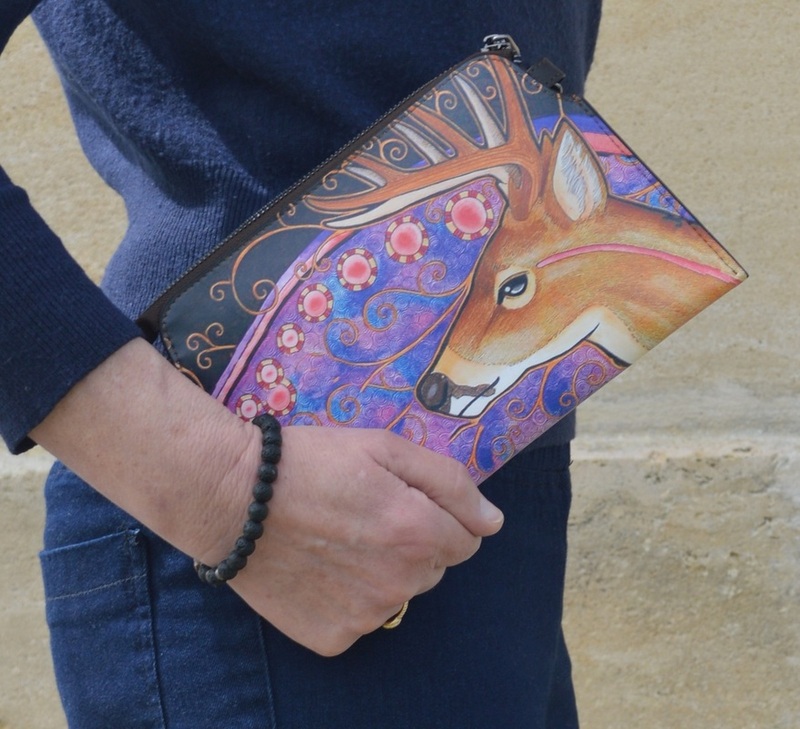 This slim clutch is perfect for that. It would also work well as a make-up bag. 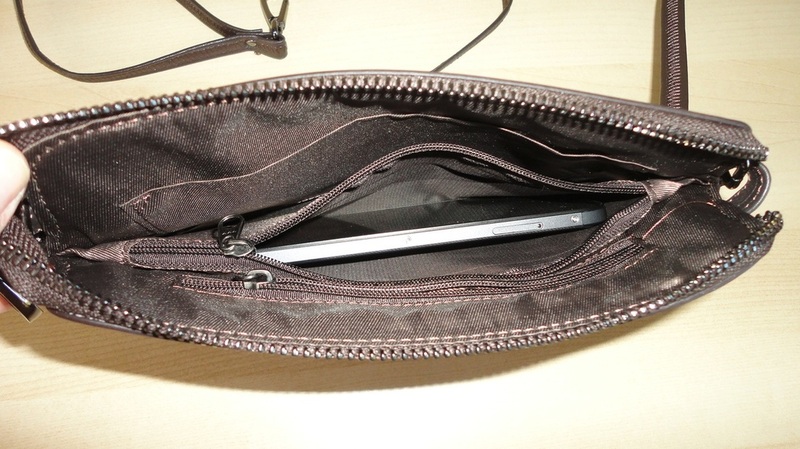 Inside it is lined with a soft, shiny fabric; there is a wide open pocket and two zipped compartments, the longer one big enough for a Smartphone. Manufacture is good, with strong, even stitching and no visible defects. 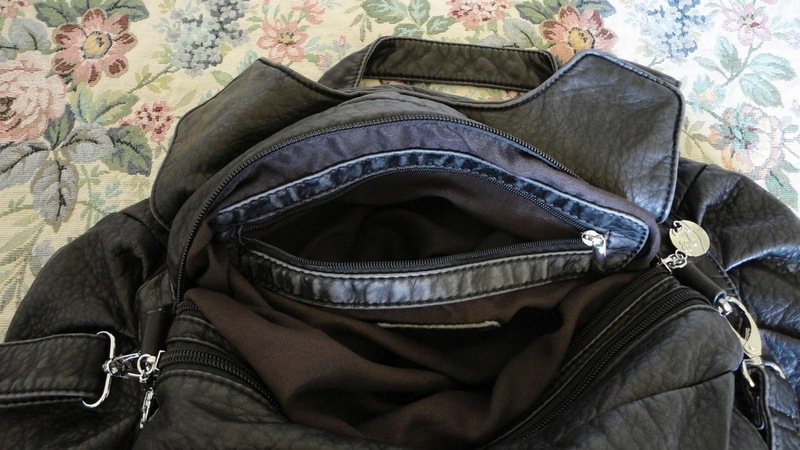 All the zips run well and, although not a luxury item, it is very well made. It's edgy and funky and I've had so many comments on how pretty it looks. The one I chose goes well with jeans but also with smarter clothes. I just love how it looks, like wearable art. 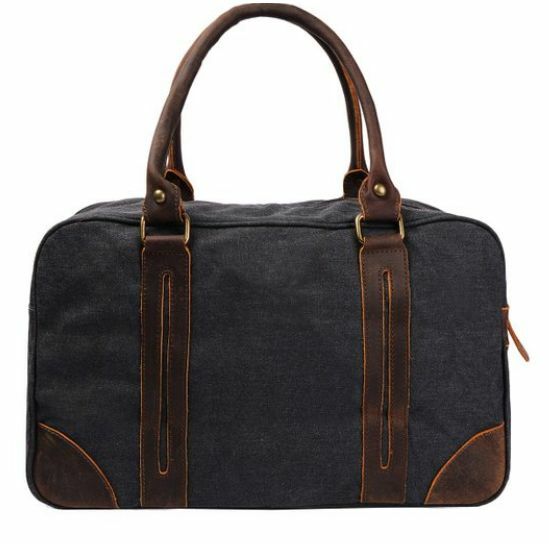 We have all become used to the trendy, not-quite-new look of jeans and other clothing, but this appearance of having been softened by time and use works particularly well in this impressive holdall by S-Zone. The model I received to evaluate and review is made of a beautiful charcoal heavy-duty canvas, fully lined in a smooth but unshiny satiny material, and trimmed with suitably softened real leather with an almost suede feel. 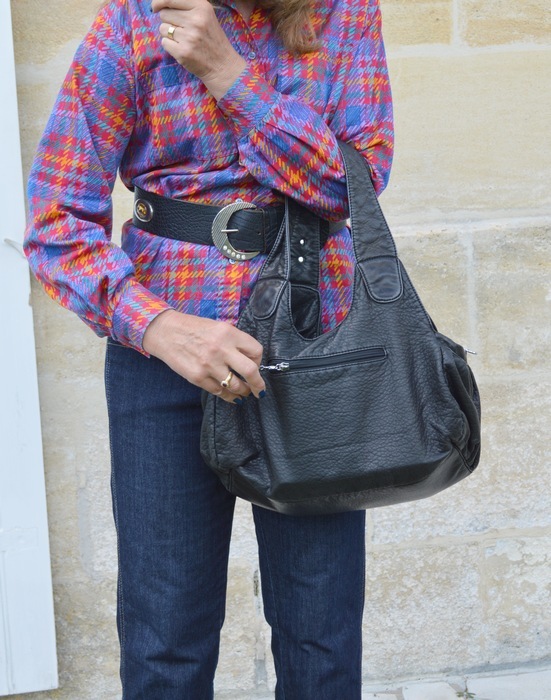 The leather accents are not mere ornamentation but serve a practical purpose in reinforcing the lower corners, and providing a secure hold for the two rolled leather handles and two side brass rings where the optional shoulder strap can be attached. The strap is made of strong webbing, fully capable of holding a fair weight. Inside there are three storage compartments: one large pocket, sealed by a zip, and two open pockets, shaped to hold a portable phone, small tablet or sunglasses. 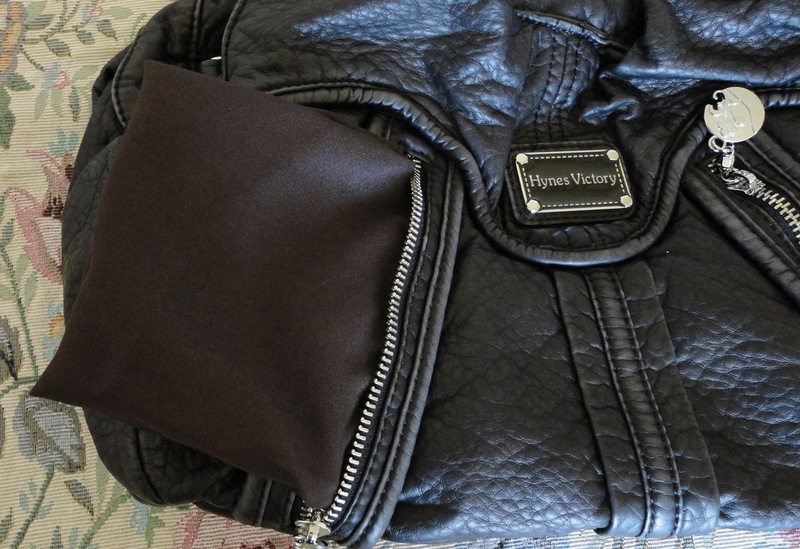 A strong zip closure runs along the top of the bag. To complete the look of well-designed luggage, the base stands on four brass stud-like feet. This well-made, roomy bag is a perfect size for many uses: overnight travel, gym, shopping, carrying books. 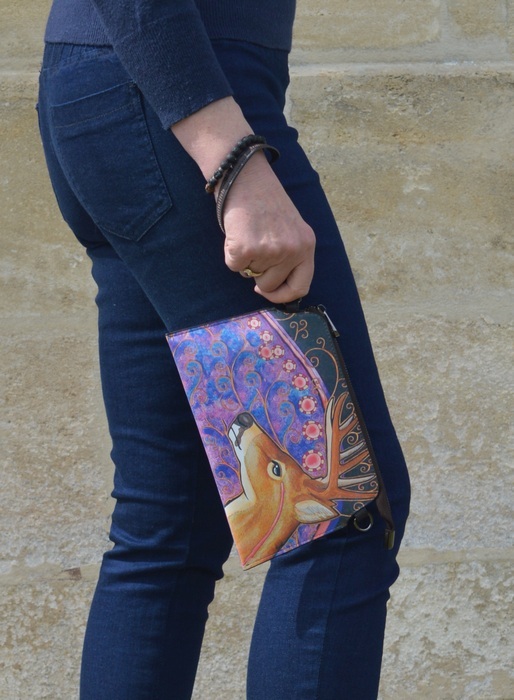 It can even hold my 15-inch laptop with room to spare but, in that case, I always slip it inside one of the many laptop sleeves now available, to fully protect it. The manufacturing quality appears to be very good, all the stitching looks regular and well finished, the thread is sturdy, and the zip closures run smoothly. I really like the look of this bag, it's practical and fit for purpose, but also edgy and really attractive. The maintenance instructions on the tag feature some dodgy English but I think I get the gist. Basically the bag can be washed (separately) and dry-cleaned but should not be exposed to acid or alkali, or put away wet. A well-made product that will be used regularly in my house, equally suitable for a man as a woman. Durability can only be guessed at, but I would expect this bag to last very well.